Are you still with me? If you are, you are a true champ. Thank you for indulging me! It is wonderful to get this all down. 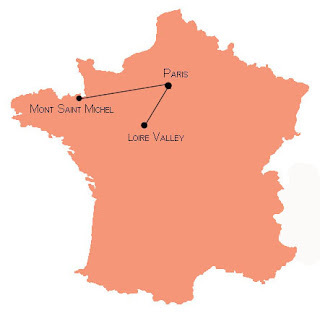 Even with an eventful night on our overnight train, we arrived rested and ready to take on France. Out stop in Paris was just for a hot minute until we quickly hopped onto another train to visit Northern France. 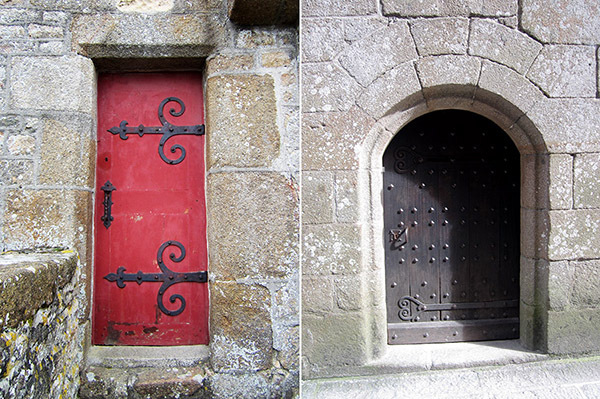 France was a tad bit of culture shock. I had just gotten used to Italian and recognizing Italian words. French is hard. While it is beautiful and all dainty- like, I could not pick out a single thing anyone was saying aside from Bonjour and merci. 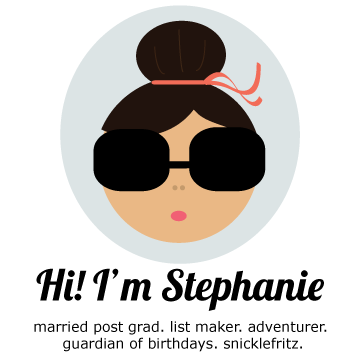 Any efforts to remember my learned French phrases were fruitless and I resorted to my stand-by: a lot of smiling. 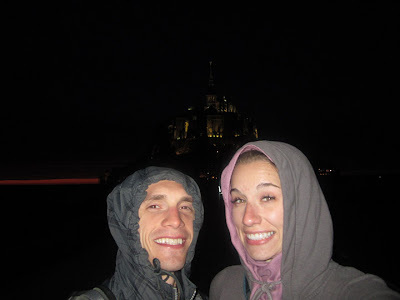 With all of our language challenges, let me tell you this: We encountered really nice people in France. People warned us how rude the French were and that they would spit on us if they knew we were American (yes, a weirdo told us that). Our trick was to always try and speak French. We knew that we sounded like damn fools, but we always tried to communicate in French first. And then I smiled a whole lot. Somehow we managed to get everywhere we needed to and make friends along the way. I had a wonderful impression of the French people we encountered. And if they thought we were idiots (we probably were), they never showed it. Or we were too oblivious to take notice. Either way, I love them. 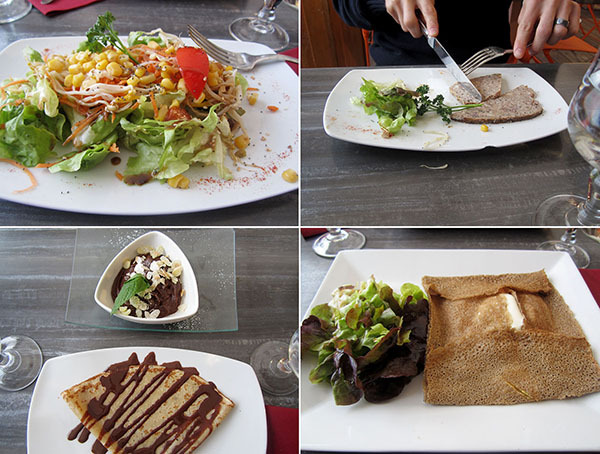 Our first meal in France was a simple one that came from the train station grocer before our next train. But, it was tasty. The French know how to do food, even if it is from a train station marche. Our train conductor in Normandy was the spitting image of the conductor on The Polar Express. Mustache and all. The countryside in France is beautiful. I kept commenting on how green everything was. 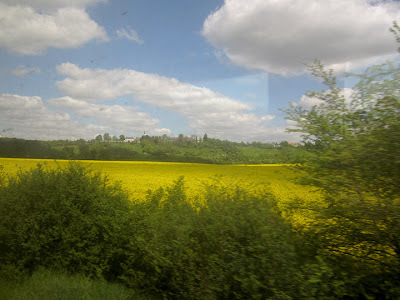 Simple yellow flowers dotted the countryside. I was already smitten. 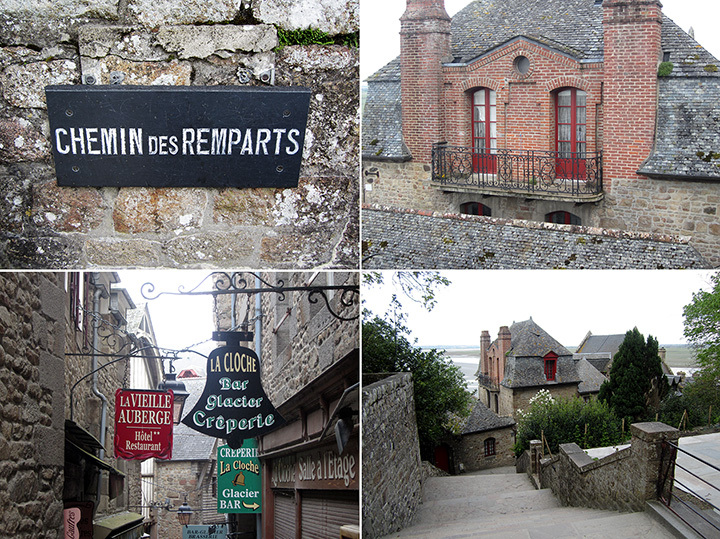 We arrived in Normandy (after another train change) in the idyllic town of Rennes. The hospitality in Rennes was world class. The trip to Normandy was a quickie. We were told to visit Mont St. Michel late and early, as it is a popular day-trip location. Our arrangement, while quick, was the perfect way to avoid the hoards of tourists. 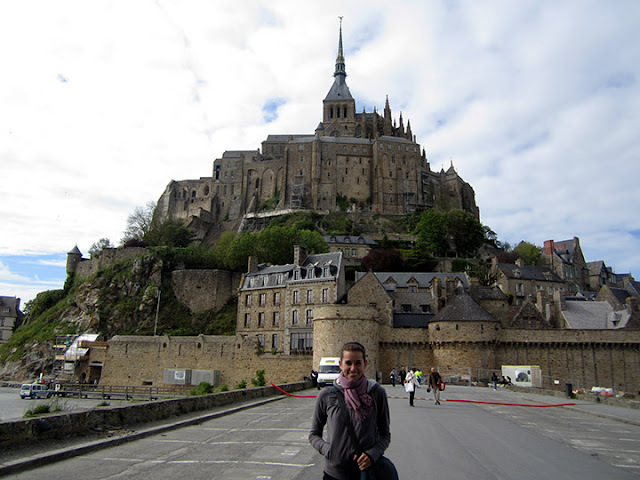 I saw a picture of Mont St. Michel a few years back and I have been determined to visit ever since. 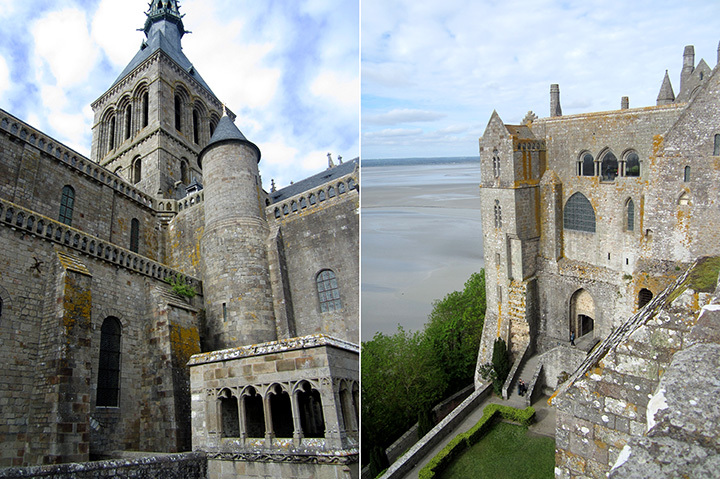 Mont St. Michel was everything I hoped it would be. The abbey is located on a small island connected to mainland by a half-mile causeway. We convinced a shuttle driver from another hotel to give us a lift to the abbey. Oh, she was nice. See what I said about world-class hospitality? The island hosts a petite village (only 30 full-time residents). 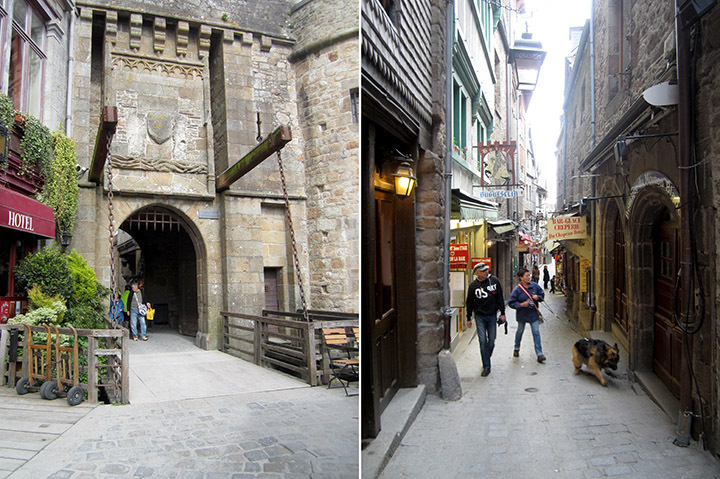 The tiny street above is the main street that is lined with touristy shops try to hawk medieval wares (swords, knight toys, etc). The centuries old abbey (originally built between the 11th and 16th centuries) is soaring. The interior is dark and a bit cold. A monk walked by and I could just imagine monks filing through the abbey in the Middle Ages. The island has so much charm. 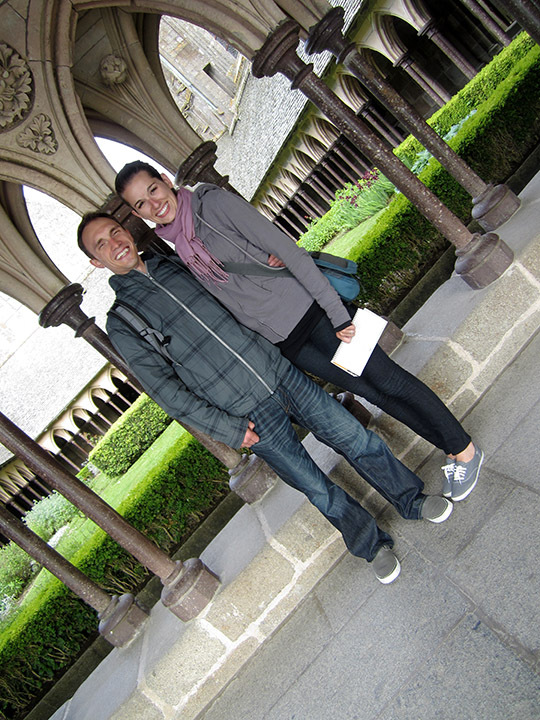 We met a delightful older French couple in the cloisters of the abbey. The husband offered to take our picture and this is what we ended up with. It has become one of my favorite photos. Our first official French meal was just below Mont St. Michel. I stuck with the crepes (salmon filled for dinner and chocolate drizzled for dessert). French food is just great. Even mid-range French food is delicious. 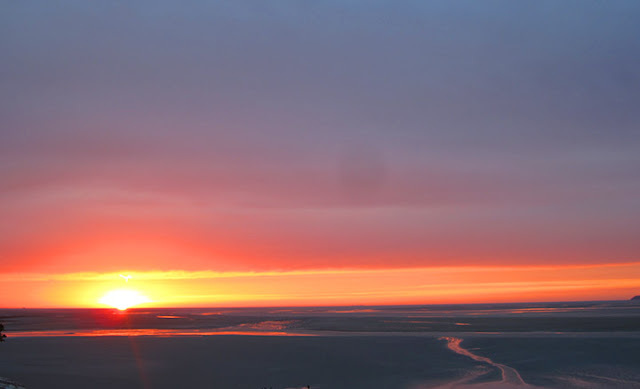 The sunsets in France took my breath away. The sun seemed to just fall off the edge of the Earth. 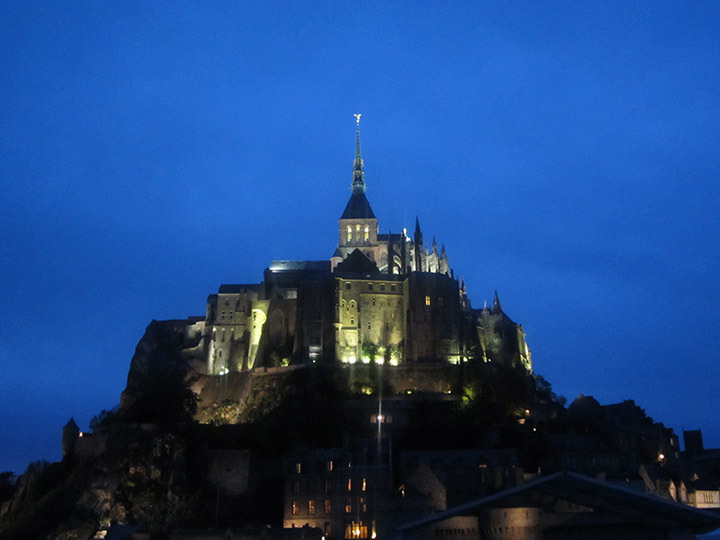 I desperately wanted to see Mont St. Michel at night when it is lit up. The sun set much later than expected (we're talking after 10 p.m.) so we wandered the (very small) village, trying to keep warm as we waiting for darkness. We slowly walked back to our hotel. I tried to walk backwards the whole time because I couldn't stop looking at it. Without anything nearby, the abbey just pierces the sky. This shot was taken after 10:30 p.m. and there is still a sliver of sunlight at the bottom. 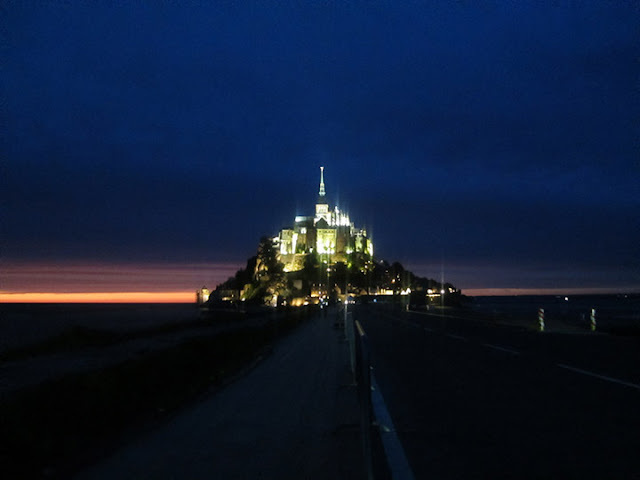 We got one last look of Mont St. Michel in the morning before taking the train back to Paris.